Strengthening defence ties, India opened its first private small arms manufacturing plant at Malanpur, Madhya Pradesh in a joint venture with Israel. 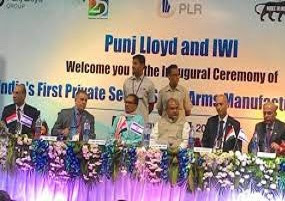 The plant has been setup as a joint venture -- Punj Lloyd Raksha Systems -- between Indian defence conglomerate Punj Lloyd and Israel Weapons Industries (IWI). The joint venture plans to develop it as a hub for providing weapons to Israel and Indian but to the world markets. The plant will manufacture weapons like X95 assault rifle, Galil sniper, Tavor assault rifle, Negev light machine gun and the Ace assault rifle, which is similar to the Tavor but less advanced. IWI is working on a few bids to provide the Indian Army with the Tavor assault rifle and Negev light machine gun. All the guns to be produced in the factory are already in service with the army's Special Forces, Navy's MARCOS and IAF's Garud Commandos, besides the Border Security Force. The weapons will be assembled based on 100 per cent transfer of technology, said Lt Col RK Sharma (retd), Additional General Manager- Defence, Punj Lloyd. The capacity of prod .. The Civil Aviation Ministry has proposed a national no-fly list of the passengers, who behave unruly during journey. Level 3 - Murderous assault or life-threatening behaviour, damage to aircraft operating systems for which suspension will be for 2 years or more. 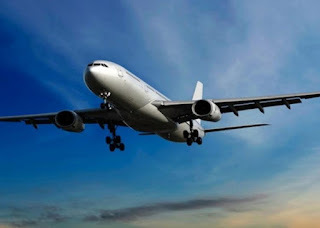 India will be the first country in the world to have a national no-fly list based on safety. 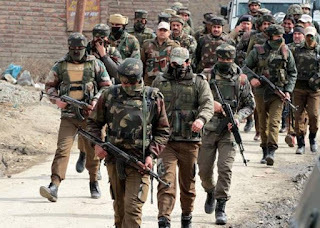 According to army sources, the massive door-to-door joint search operation launched by the Army, paramilitary and J&K Police is probably the biggest such exercise in the past 15 years in the violence-hit South Kashmir. The operation was launched after a vehicle carrying soldiers of 62 Rashtriya Rifles, who were involved in the operation, were attacked by militants near the Imam Sahib area, leading to the death of a civilian driver and injuries to four jawans. eVIN (Electronic Vaccine Intelligence Network) is an indigenously developed technology system in India that digitizes vaccine stocks and monitors the temperature of the cold chain through a smartphone application. The innovative eVIN is presently being implemented called across twelve states in India. eVIN aims to support the Government of India’s Universal Immunization Programme by providing real-time information on vaccine stocks and flows, and storage temperatures across all cold chain points in these states. The technological innovation is implemented by the United Nations Development Programme (UNDP). eVIN aims to strengthen the evidence base for improved policy-making in vaccine delivery, procurement and planning for new antigens in India. They interacted with the Health Secretary to learn more about the global best practice of eVIN (electronic vaccine intelligence network) project of the Health Ministry and to understand how it is being implemented in the country and the ways in which it be replicated in their own countries. Representatives from Philippines, Indonesia, Bangladesh, Nepal and Thailand are on a visit to India to study the project. 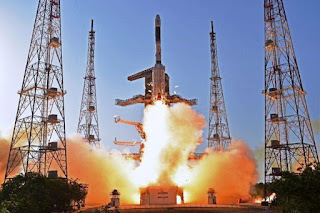 Precisely at 4.57 pm, the GSLV-F09 took off to the sky from the second launch pad at the Satish Dhawan Space Centre at the Sriharikota spaceport in Andhra Pradesh, carrying the GSAT-9 satellite. The 49-metre, 415 tonne rocket slung the 2,230 kg satellite into geosynchronous transfer orbit, from where it would be taken up to its final geostationary orbit. The satellite, with its 12-Ku band transponders-transmitters and receivers of radio signals, will enable telecommunication, tele-education and tele-medicine as well as mapping of natural resources. It would also provide/augment internet connectivity and would be useful in disaster management. These hotspots will be installed by the company in the coming few months. Express Wi-Fi is part of Facebook's global initiative to spread internet connectivity. It is currently operational in five countries-India, Kenya, Tanzania, Nigeria and Indonesia. Facebook started testing the service in 2015 and has nearly 700 internet hotspots already deployed across the four Indian states of Uttarakhand, Gujarat, Rajasthan and Meghalaya with the help of internet services providers (ISPs) like AirJaldi, Tikona, LMES and over 500 other local entrepreneur-retailers. To access Express Wi-Fi network, user needs to first sign up with an Express Wi-Fi retailer and then purchase a daily, weekly or monthly data pack. 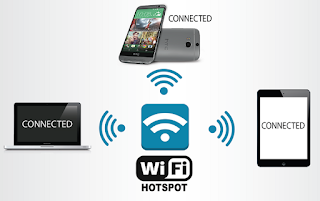 User will only then be able to connect to the Express Wi-Fi hotspot, register or create an account, login and start browsing or use any app on the entire internet. 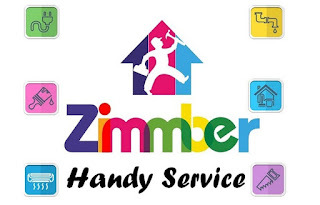 Zimmer is Quikr's tenth acquisition and offers a marketplace for plumbers, electricians, carpenters and cleaning agents. 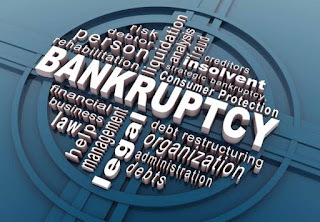 For the time being the company will continue to function independently of the parent company's own services. Founded by Anubhab Goel, Amit Kumar and Gaurav Shrivastava, Zimmber had raised nearly $7.5 million from investors such as IDG Ventures and Omidyar Networks. The company raised its last round of $5 million in July 2016 and is suspected of having run out of money, leading to a sale. 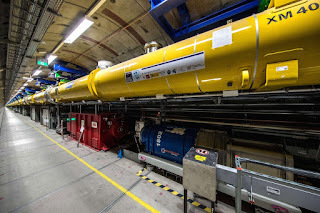 We all know that according to Einstein’s theory, nothing can travel faster than the speed of light in a vacuum that makes it difficult to capture. But, now researchers at Lund University in Sweden have built the world’s fastest film camera that is capable of taking five trillion images per second, which means an image every 0.2 trillionths of a second. In other words, the camera is fast enough to visualize the movement of light or capture molecular processes. The researchers exposed an object to be filmed to brief flashes of laser light, which were reflected by the object. The new technology called Frequency Recognition Algorithm for Multiple Exposures (FRAME) is based on an innovative algorithm, and instead captures several coded images in one picture and later sorts them into a video sequence. This method took four separate images per frame instead of taking images one by one in a sequence, like other high-speed cameras. The X-ray light has a wavelength of 0.8 nanometre - about 500 times shorter than that of visible light. At first lasing, the laser had a repetition rate of one pulse per second, which will later increase to 27,000 per second. 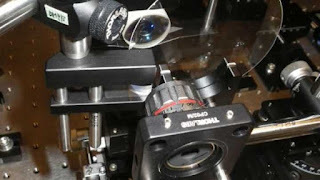 The achievable laser light wavelength corresponds to the size of an atom, meaning that the X-rays can be used to make pictures and films of the nanocosmos at atomic resolution - such as of biomolecules, from which better understanding of the basis of illnesses or the development of new therapies could be developed. 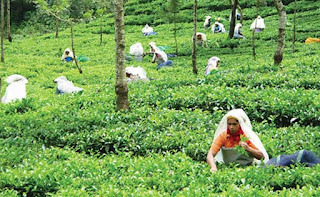 Bezboruah is a leading tea association industrialist and he becomes the first non-IAS and an industry insider to be at the helm of the Kolkata-headquartered Tea Board, the governing body of the industryand Gowda is a renowned coffee grower. The Appointments Committee of the Cabinet has approved their appointments, an order issued by the Department of Personnel and Training (DoPT) said.